Cauliflower is an affordable, very tasty and healthy vegetable. Cauliflower contains very few calories, while the content of nutrients it exceeds all other types of cabbage. Cauliflower contains vitamin C, vitamin A, B vitamins and vitamin PP. 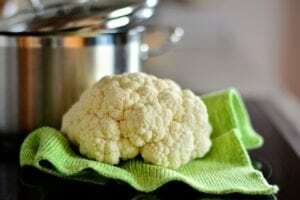 From microelements in cauliflower contains calcium, useful for bones, necessary for good mood, magnesium, phosphorus, iron, sodium, potassium and others. In addition, the cauliflower contains fiber, proteins and useful carbohydrates. It is also rich in tartronic acid, citric acid, malic acid, pectin. Tarton acid does not allow the formation of fatty deposits, so cauliflower must include in their diet those people who want to get rid of excess pounds. Cabbage has a very rich biochemical composition, it is an indispensable food that provides valuable healing properties. There is evidence that cauliflower strengthens the walls of blood vessels and removes cholesterol from the body. With cauliflower, you can cook a huge number of dishes. 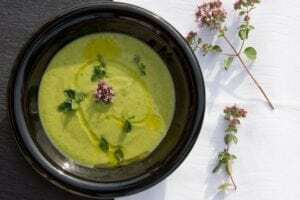 In this article we will tell you how to make soup from cauliflower, baked in the oven cauliflower with cheddar cheese, as well as cutlets from cauliflower. Let’s get started! Onion, peel, grind and fry in a frying pan in vegetable oil, then add crushed garlic to the frying pan. Divide the cauliflower into inflorescences, fold into a large saucepan. Peel the potatoes and chop them, fold them into the same pan. Pour cauliflower and potatoes with milk and chicken broth. Put the saucepan on a fire and bring to a boil. Add the toasted onion to the pan, reduce the heat and simmer the soup for about 15 minutes. Ready soup slightly cool, chop the blender, salt and pepper, add the nutmeg. Finished soup sprinkle with chopped herbs. Serve with fresh bread and, if desired, with sour cream.